The aim of a joint replacement is to relieve pain whilst maintaining joint movement. There are now replacements for nearly every joint. This includes all 3 finger knuckles, the thumb base joint and the wrist (radio-carpal joint and or the distal radio-ulnar joint). 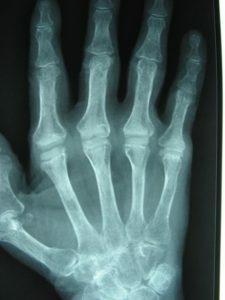 For some joints (such as the base of the thumb and the wrist) replacements are still considered to be slightly experimental with less knowledge about the long term outcome. For some types of joint replacements of the first and middle finger knuckles there is better long term information about their reliability. Depending on your circumstances Mr Naqui may offer a joint replacement as an option for your joint. Conservative measures such as pain relieving medication, splintage and physiotherapy are first line treatments. Steroid injections can give effective pain relief in some patients. Alternative forms of surgery include arthroscopic joint debridement, types of joint fusion and reomoval of part or whole of a bone. The aim of all of these methods is to relieve pain and maintain movement in the joint. What tests will I have should I need a joint replacement? The first step is to undergo a consultation, involving a medical history and clinical examination. Mr Naqui usually organises further tests such as an x-ray, CT or MRI scan. These may help to identify the extent of any arthritis and the quality of the cartilage. In some cases Mr Naqui may first perform a wrist or small joint arthroscopy (hyperlink to wrist arthroscopy). Surgery may be performed under local, regional or general anaesthetic depending on which joint is being replaced. The surgery is a day case procedure meaning that you will be able to go home the same day. Taking care to protect surrounding structures such as blood vessels, nerves, ligaments and tendons, the arthritis is removed and the new artificial joint is inserted. It may be checked for its position using image guidance. 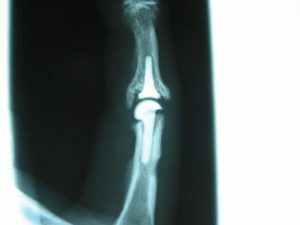 The joint is typically placed in a splint following the surgery for around 4-6 weeks. Any sutures inserted will be removed at around 10 days. Mr. Naqui and the hand therapist will then provide you with specific exercises to perform to regain strength and movements of the joint. This will be early on after the operation. Activities which put significant stress on the joint should be avoided for 3 months. Mr. Naqui will discuss with you regarding return to sports depending upon your particular sport, it maybe that you can have a protective splint to return to sport earlier. Driving can safely be resumed at around 6 weeks. Return to work is dependent on the nature of your work but usually expected within 2 weeks if it is non-manual work. You can discuss this with Mr Naqui at your consultation. The main potential complications that will be discussed with your prior to gaining consent for surgery include pain, swelling, infection, scarring, numbness, stiffness. Pain and swelling are common following surgery, these should settle after a few days with simple painkillers. Infection is rare. Stiffness at the joint should improve if you follow the exercise programme as advised by Mr Naqui and the hand therapist following surgery. Injury to nerves around the joint may occur during surgery and lead to a feeling of numbness around the scar area. There are specific risks for joint replacement surgery, which will be discussed with you. These include failure of the joint replacement and dislocation. If this were to happen then Mr Naqui will discuss further options.